You will see the Cvpcb window, with the middle pane containing the components from the schematic. 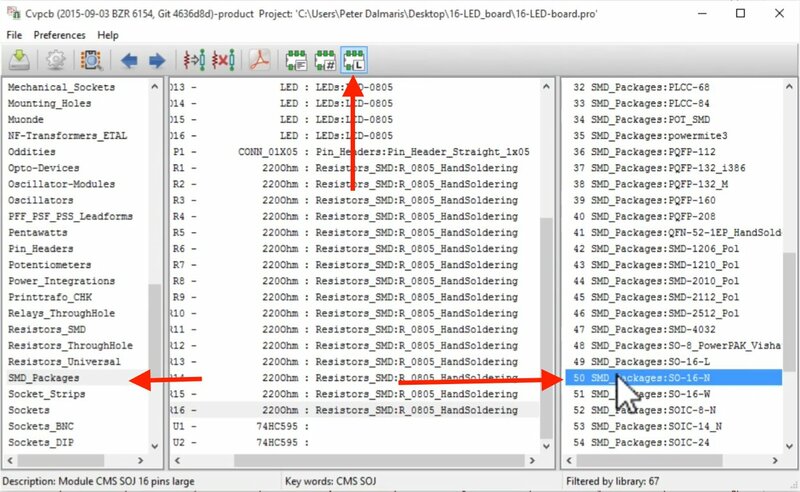 Cvpcb lists the schematic components in the middle pane. Select the library, filter, and look for the right footprint. 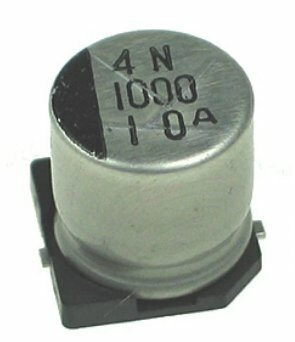 This is the footprint of an SMD electrolytic capacitor. 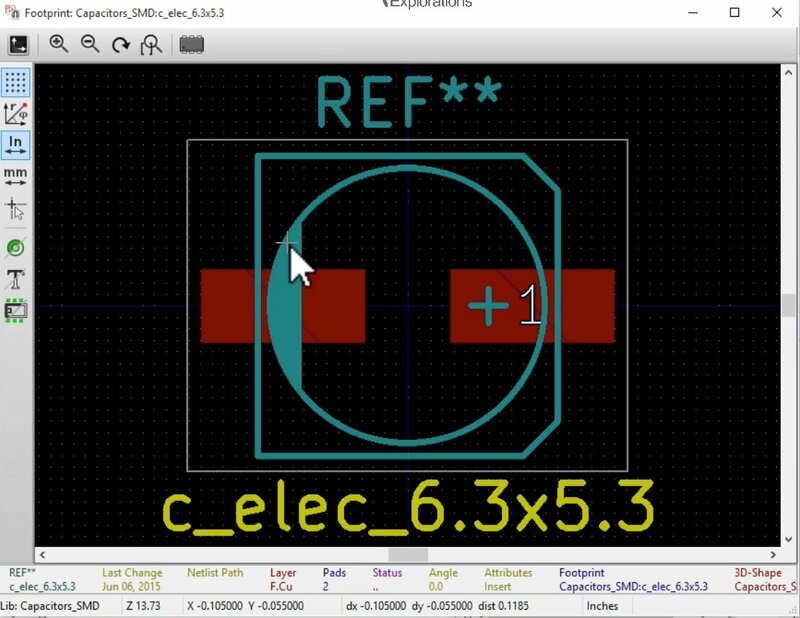 Double click to select this footprint and associate it wit the capacitor component. For the LEDs, again I amlooking for an LED surface mounted device of 0805 type. 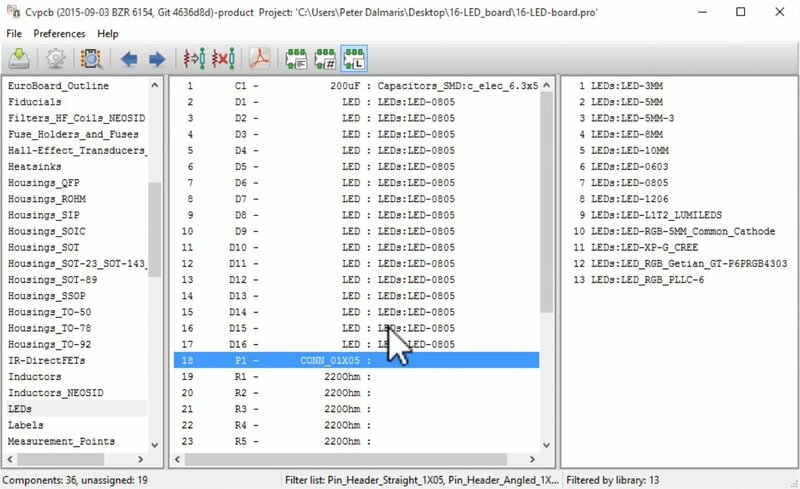 Select the LEDs library, and inspect the list in the right pane. 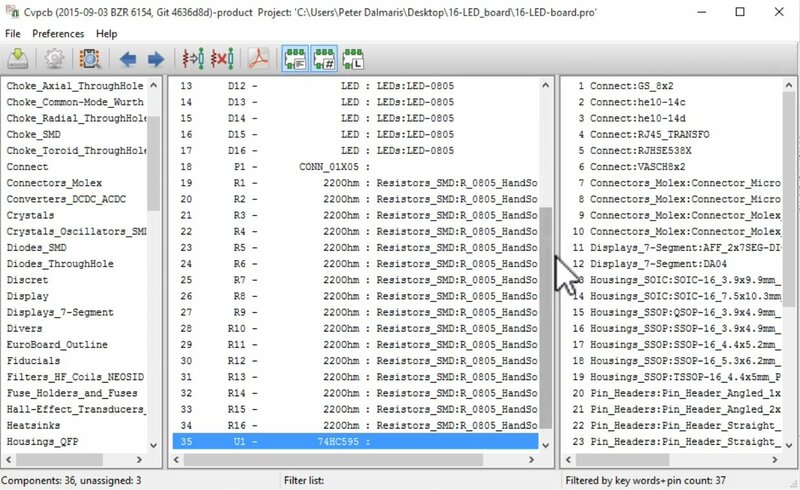 Candidate footprints for the LEDs. There are several options for 3mm, 5mm, and 0805 here, among others. I am looking for the 0805, so double click on that to select it. 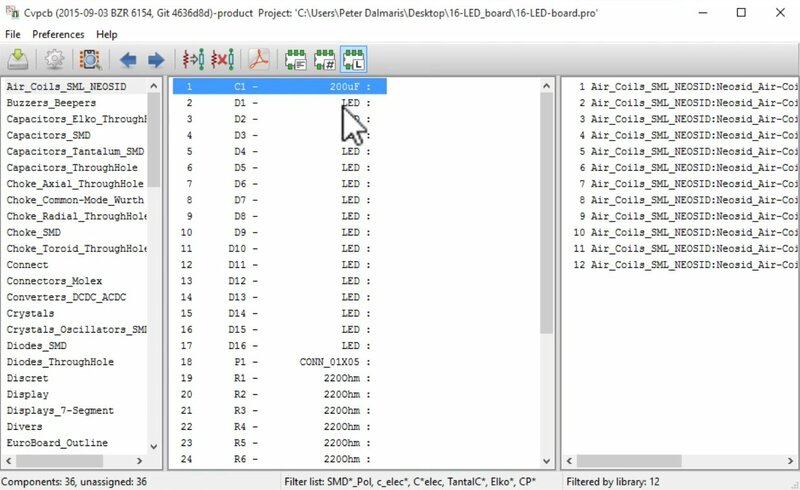 Continue to double click until all LED have the 0805 footprint associated. 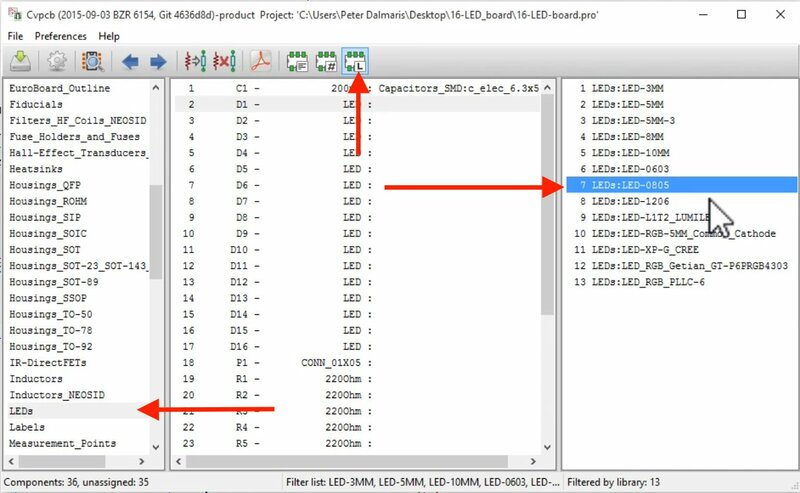 The LED components are associated with the 0805 footprint. Let’s skip the connector and work on the resistors next. Instead of selecting a library first, I will use the keyword and pin count filters to find the right footprint. 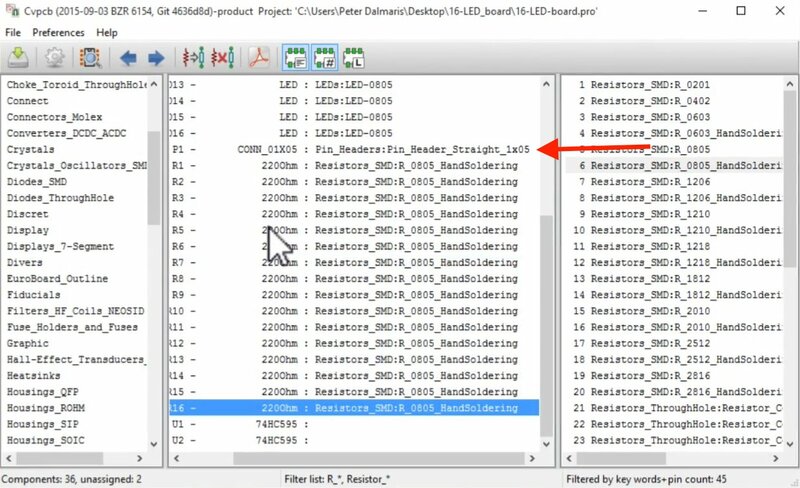 With the keyword and pin count filter, I can quickly find the correct Resistor footprint. 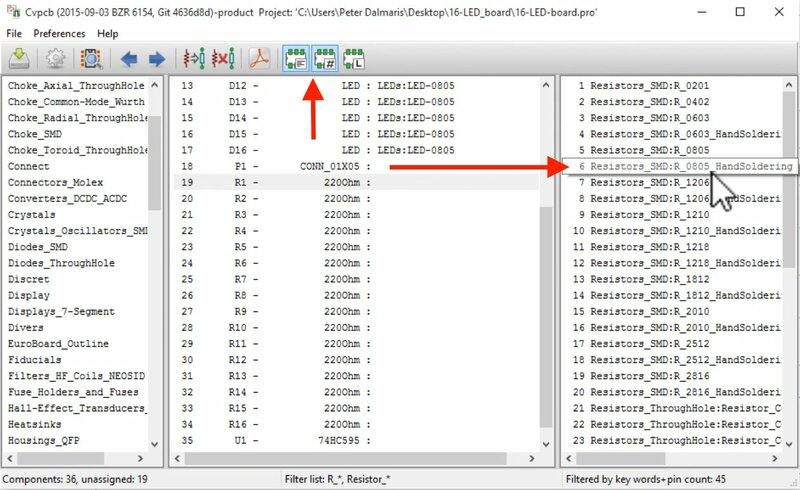 The resistor components are now associated with the 0805 footprint. Let’s continue with the connector. 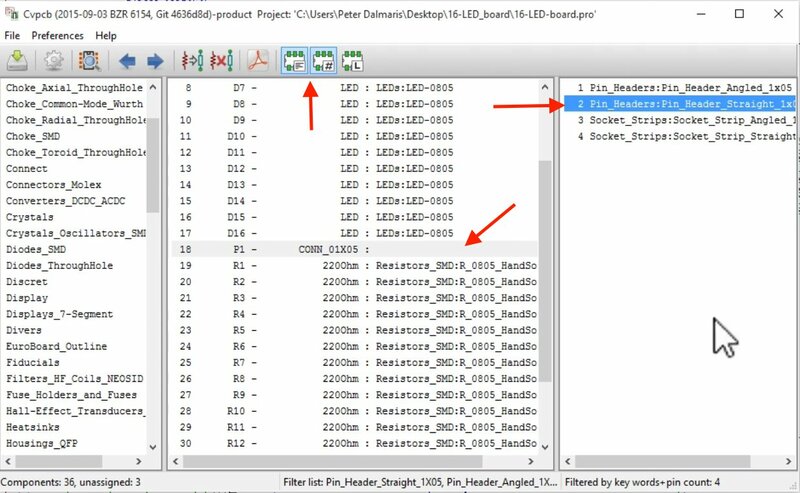 Click on the CONN_01X05 component in the middle pane, and with the filter settings unchanged, the suggested footprint in the right pane are just four. 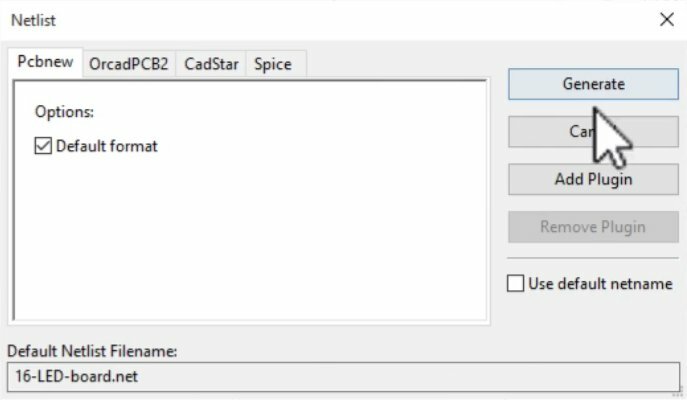 I’d like to use the straight header connector, so double click on the second option to select it. The options of the connector. The connector component is associated with the straight header. 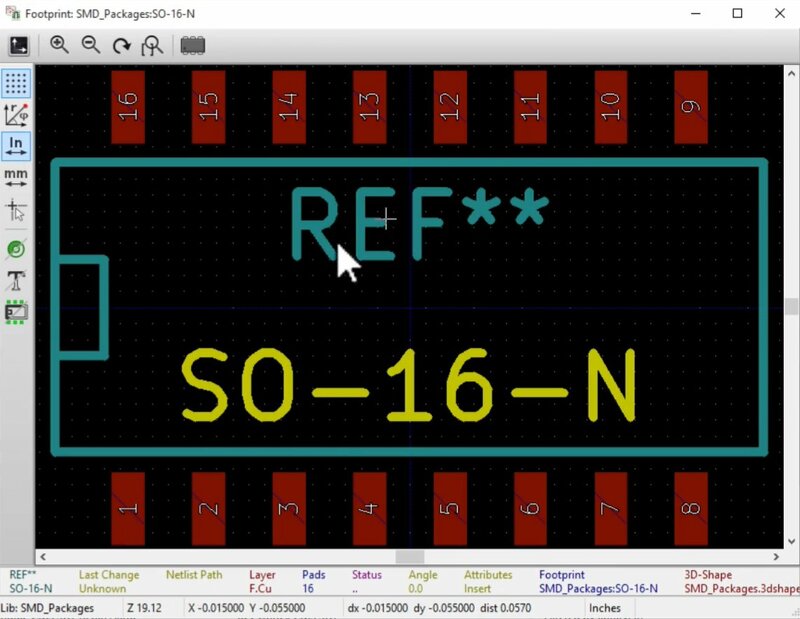 Lastly, for the shift register, we need to look in the SMD package to find the appropriate footprint. Click on the library filter button, and click again on the other two filters to disable them. This part is more complicated than the resistor and capacitor, so I prefer more control over the browsing process. 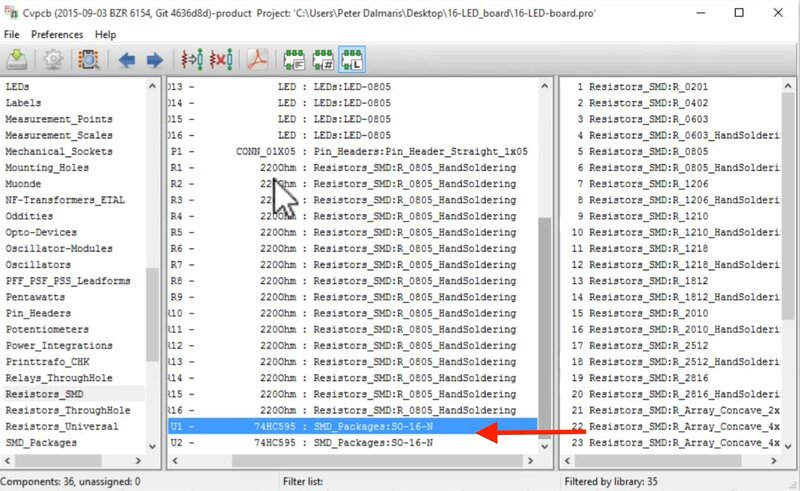 The integrated circuit I would like to use on the board comes in an SO16 package, so we need to find one of them in the right pane. 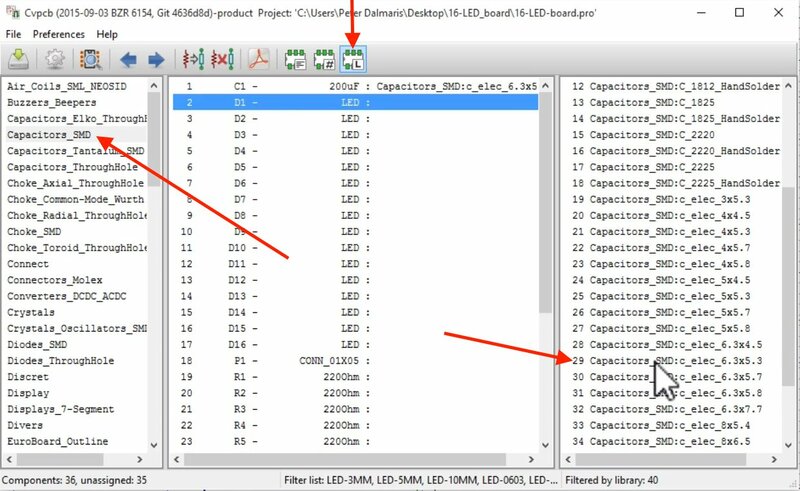 Only the Library filter is used for the search for the SO16 package. 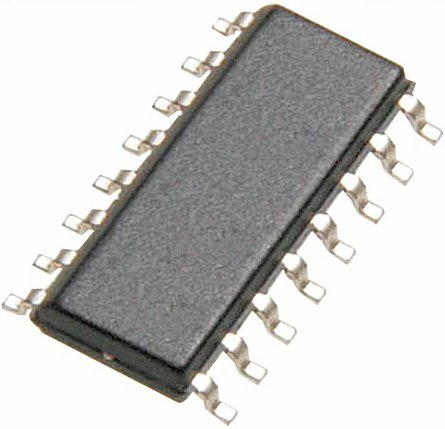 The actual IC I would like to use comes in an SO16 package like this one. The shift registers are associated to the correct footprint. We now have all our components associated with their footprints, so we can save the associations and return to Eeschema. Let’s continue with Pcbnew now and work on the layout and the wiring.